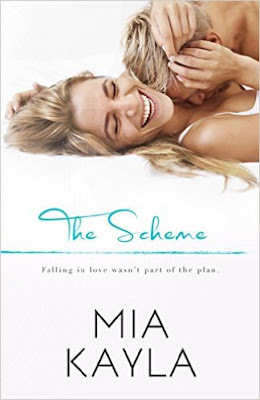 Mia writes a story that will have you laughing out loud till the very end and cheering on for the good guy. The girl is confident in what she wants, but yet is blinded by what is truly in front of her. Mia does a great job writing about finding love again after being hurt in past. Brian Bensen had his heart ripped out from his last relationship, so he decided to pick up and move to New York and put all his energy on work and not so much on women. And that’s exactly what he did. He moved in with his best friend, Trey and became a workaholic. It didn’t bother, him much since he needed to make his way from the ground up and the only way to do that way to keep his head in the game; which meant no girls. Trey gets tired of his working ways that he gets him out of the house to relax, loosen him up and try to get a girl into his system, thinking it will get him out of his slump. But the one girl that catches his eye lands him in the ER where he meets someone from that past that will change things for him. Kendy Miller is one very confident woman or yet it seems. She knows what she wants and she goes after it if she doesn’t get it. She also is one that needs to be in control of situations. Kendy decided to leave her mom behind in their small home town to pursue her nursing career and to start fresh in New York where she works in the ER department. According to a fortune teller long ago, Kendy feels Dr. Hot Pants is the man for her. He’s the total package, from what she can tell anyway. Kendy tries everything to get him to notice her, but he’s not budging and it’s frustrating her. Meeting Brian again throws her off her game, especially since he seems to give off some weird feelings. But after much stalking of the hot doctor, maybe seeing Brian again could put her in a good position. Of all the ideas that Kendy has cooked up, I think this by far has been the nuttiest of them all. When all her plans to score the hot doctor have failed, use your last resort I guess. She sees Brian at the bar and shoots down all his advances on her, saying that he is too nice of a guy. Then she sees the doctor come in with another woman and he doesn’t notice her not once, it leaves her disappointed. Instead of Brian leaving her fend for herself, he entertains her. And that’s when she comes up with her brilliant idea. She will use Brian in a little ploy to get the doctor to notice her. Since neither wants a real relationship, why can’t they have a fake one? Brian can show her that he isn’t the good boy after all, plus this could break his of his little funk.. But with only one kiss, they know they will be in deeper than what they both bargained for. I really like Kendy's character here. She gives that strong, confident woman front which is very attractive for her, but yet the more Brian gets to know her, he starts to crack down on her. He is determined to get to know more of her, more than just intimately, but on a deeper level. There’s an instant connection between the two of them. He can sense it and he knows she can sense it too. Brian just needs to find a way to make her see it. There’s a woman in there battling demons from her past. She’s afraid to move on, which is also a reason for why is the way she always needs to be in control of things. When he cracks her, she slowly starts to fade away because he’s getting way too close for her. She was okay with just the way things were; they were just having fun, no strings attach. But little does she know that Brian is fighting is own battle inside. He can’t just have fun without getting attached. Brian is just as scared as she is because he too has been hurt and she knows it. But when he realizes his feelings he doesn’t really know what to do with them because he hasn’t felt this way before. When the hot doctor finally notices Kendy and asks her out, she of course takes the opportunity. It’s what they’ve been working on this whole entire time. But where does that leave Brian? Will Kendy go on the date with the hot doctor? Will it be everything that she imagined? Or will it be filled with regret? Can Brian be the good guy and let her go? Or will he take a stand and fight for her? Will Kendy be able to admit her feelings for Brian? Or can they say that they truly crossed the lines and it cannot be uncrossed? Where will their relationship go from here? I really liked this book. Brian and Kendy originally knew each other from the past and they collided pasts and used each other in a scheme. But that may have backfired on them. You can tell from how Mia wrote the book the instant chemistry between the two of them. Brian and Kendy have both been hurt from the past and have made excuses for themselves to not get involved with anyone else, which is why this “scheme” fit perfectly for them. But little did they know the outcome of it all. It was funny how Brian tried playfully to get Kendy and she kept shooting him down. But he eventually got her, even if it was without any strings. Kendy kept cracking me up, you can’t predict anything that came out of that girl’s mouth. The stuff she says I tell you. Brian is such a sweetheart, he would do anything for her, and I mean anything. And that means something. Brian is your typical dream guy. She was blind to not see it. I wanted to smack her several times and make her want to see it. Good job Mia.